Here comes the most innovative and genius dessert I’ve ever published on my blog. A delicious and easy chocolate mousse recipe (mousse au chocolate), that consists of just 2 ingredients. If you love a deep chocolate flavor, then this fluffy and creamy mousse is for you. 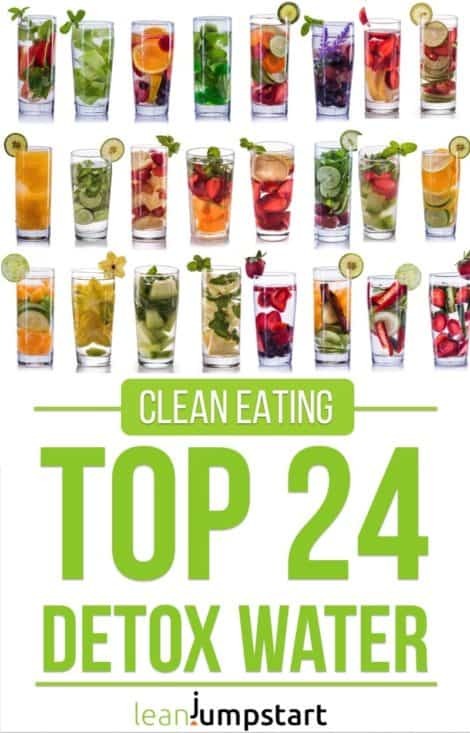 On top of that this luscious treat is quick, clean and even perfect for weight management. While I’m sure that you can guess the first ingredient – dark chocolate – few of you might know the second one: Aquafaba. And yes, I’m keeping my promise! Most of you have “aquafaba” in their pantry without knowing it. It is in fact a waste product, something you usually throw away. But in future you might think twice?! Aquafaba is another word for “chickpea water”. “Aqua” is the Latin word for water and “faba” the Latin meaning for beans. My daughter mentioned to me chickpea brine as a trending egg white replacement in vegan circles – over a year ago. But I somehow couldn’t believe it until last week, when I experimented with it for the first time. When I tell you that I’m thrilled, I’m still understating. I’m really excited to share my findings with you. For the skeptics amongst you, no, the liquid does NOT taste of chickpeas at all, if this is your worry. Once beaten, it’s similar neutral in taste as white egg. Aquafaba is a simple, whole-food approach to egg whites that tastes better and performs more reliably than any commercial available egg replacer. This is important to know also for all those people who can’t eat eggs. As you can see with this recipe it can even mimic the consistency of dairy. You’ll learn more about aquafaba’s history at the end of this blog post. 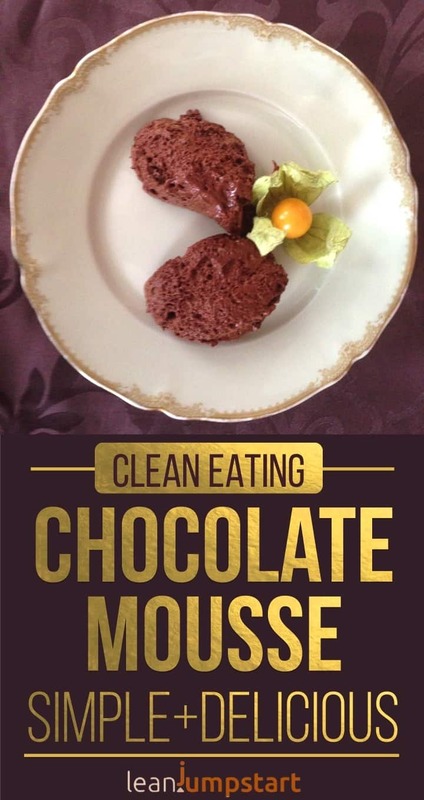 I’ve made this easy chocolate mousse already three times. To my pleasure it works even with red kidney beans water. While soaking legumes, like beans, lentils or chickpeas some of the protein, starches, B-vitamins, zinc, and iron leach into the liquid. The result is a nutrient-rich water that can be used for thickening, emulsifying, gelatinizing and foaming dishes. It is important however to use the liquid from BPA-free cans. Why, I’ll explain after the easy recipe. My chocoholic hubby is of course also a huge chocolate mousse connoisseur and described it as “heaven on the spoon”. When he tried it, he first thought, that it’s an indulgent chocolate mousse and couldn’t get enough of it. I’m convinced that you will love this recipe too. Before I jump into the easy chocolate mousse recipe let me just tell you how complicated a classic chocolate mousse recipe usually is. 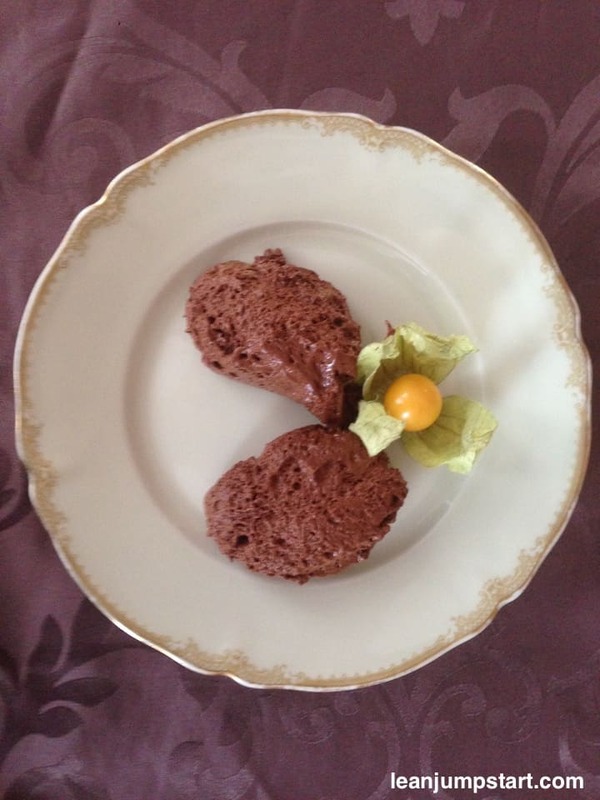 Most authentic French recipes call for at least 5 ingredients: dark chocolate, eggs, heavy cream, butter and sugar. Now I ask you, how clean and lean is that? Not to forget the complicated directions without success guarantee. I can imagine that you cant’ wait to try this simple dessert recipe too. Enjoy! Make sure to use BPA free canned chickpeas! In the bowl of a stand mixer (hand mixer may also be used) beat aquafaba on high until forthy. It should have a fluffy white consistency. In my case it takes around 3 minutes. Melt the chocolate in a metal bowl placed over a saucepan or pot of hot water. Stir as chocolate is melting. Remove from heat when melted to cool slightly. Combine aquafaba cream and chocolate mixture in a bowl and gently blend together completely. Try not to over-mix. Fold the whipped cream in glasses and refrigerate for one hour. You can also fill it in a glass container and set it in the fridge until stiff peaks form. Arrange spooned mousse later on plates. Garnish with ground cherry (see photo), star fruits, kiwi slices or chocolate shavings. To accelerate the process you can also freeze the glass container for 30 minutes maximum and then arrange a dessert plate. For variation you could also add some chocolate chips after the cream gets stiff. The first beaten egg white replacements were probably made in wartime around 1900, based on the cooking water of legumes. Kickstarter for the huge aquafaba hype was Goose Wohlt, an American software engineer and food blogger. In 2015 he shared his post on how to make vegan meringues based on chickpea brine on Facebook. He is also the one who gave the chickpea liquid the “aquafaba” name. The rest is history. BPA has the potential of causing diseases of the hormone system as well as the cardiovascular and nervous systems. The substance is also harmful to the kidneys and the liver. It is also suspected of being carcinogenic. One thing is certain: BPA leaks into aquafaba and the foodstuffs in the can and from there into our bodies. That’s why we should opt for BPA-free cans as much as we can. The only alternative is glass. In contrast to the can and its inner coating, glass is not only tasteless but also impermeable. That’s why e.g. in Germany, baby food is sold exclusively in jars. Sounds seriously weird, but I’m going to try it! Yes, I know – that were my first thoughts too;) But it’s worth a try! Mine turns out too grainy… what could I be doing wrong?